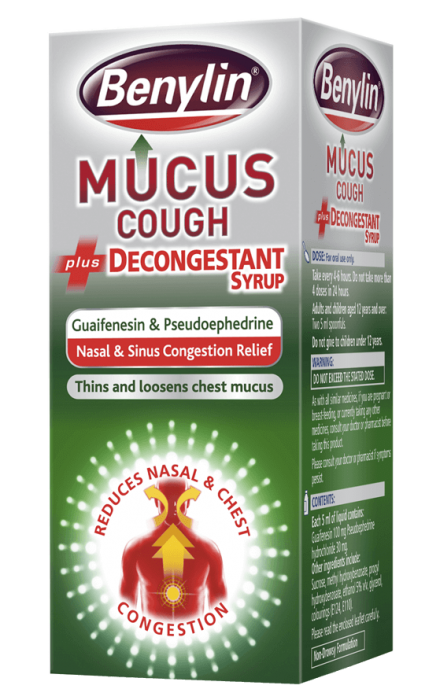 BENYLIN® Mucus Cough Decongestant Syrup not only thins and loosens chest mucus so you can cough it away more easily, it also helps relieve nasal congestion. Guaifenesin thins and loosens mucus, making it easier for you to cough up and lighten the weighty feeling on your chest. 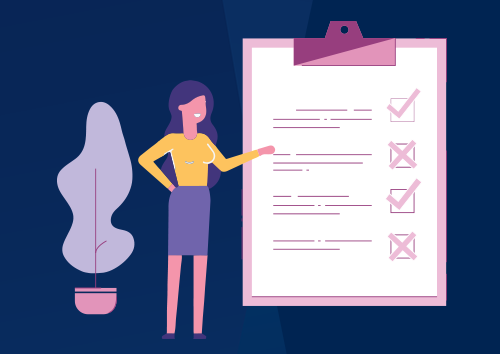 Pseudoephedrine causes the blood vessels in the nasal and sinus passages to contract and narrow, which reduces congestion. What is a mucus cough? When mucus builds up in the chest, it can be hard to get rid of by coughing, so it’s helpful to have something to take to loosen the mucus and relieve the feeling of heaviness. 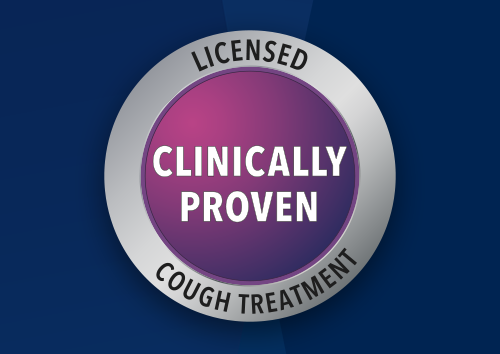 Can't find BENYLIN® Mucus Cough plus Decongestant Syrup?